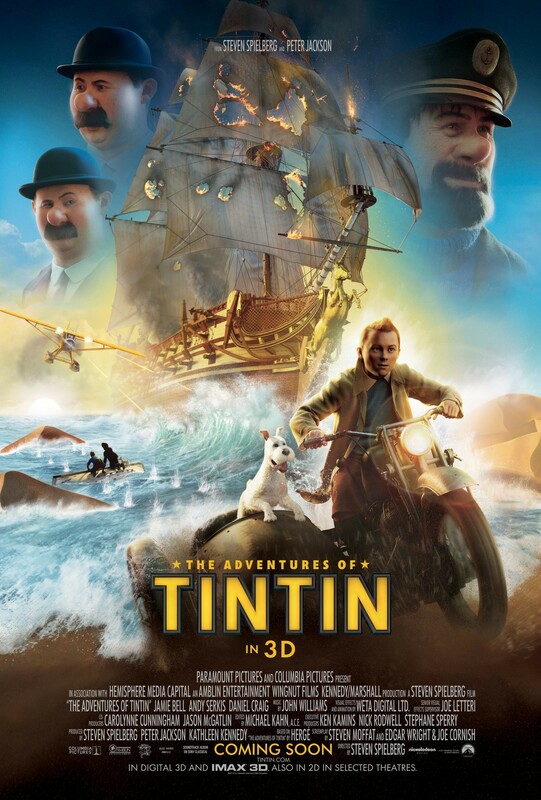 As some of you may know, I’m a major fan of Tintin. Reading the bright and engrossing comics ever since I was 5, I have whole treasure troves of memories tied to the books. I even cemented my fandom by getting the cover of Explorers On the Moon tattooed on my arm (my only ink). 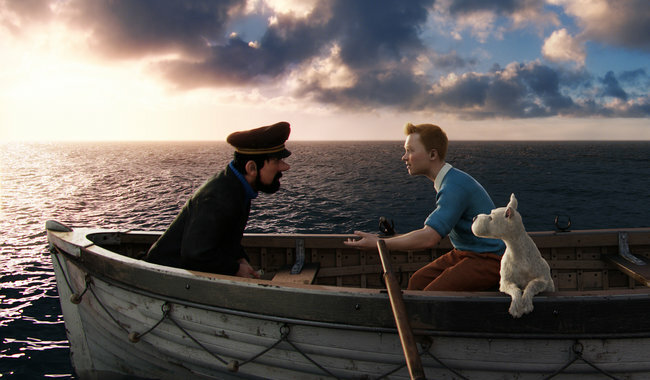 So, yes, I am excited and slightly nervous about the release of the first Tintin film, ‘The Secret of the Unicorn’. Though there are two absolute masters at the helm, it’s always risky to take a classic and infuse it with 21st century techo-wizardry. Here is the New York Times’ take on the adaptation, which is opening nationwide in the USA today. Indeed, the Avatar-style motion capture technique is extra risky, as it adds incredible complexity to the storytelling. It’d be hard to imagine a straight-from-the-books, flat-style animation as a Hollywood success, but the hyper-realistic, digitally rendered faces are sure to turn some people off. Perhaps that’s for the best, as it draws a clear distinction between the classic hand drawn books and this fancy, Spielberg-directed alternative. 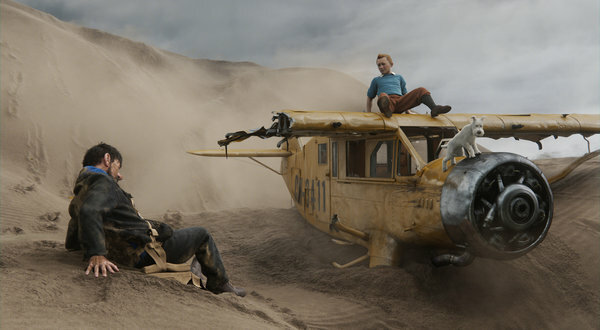 But here’s hoping it’s a success, if only to bring new people into the world of Tintin. Do you think you’ll see it in theaters? It’s supposedly the most impressive 3D film to yet hit screens, and you can count on me being in the audience, hoping it lives up to my expectations. I finally figured it out! It’s the eyes that bother me. 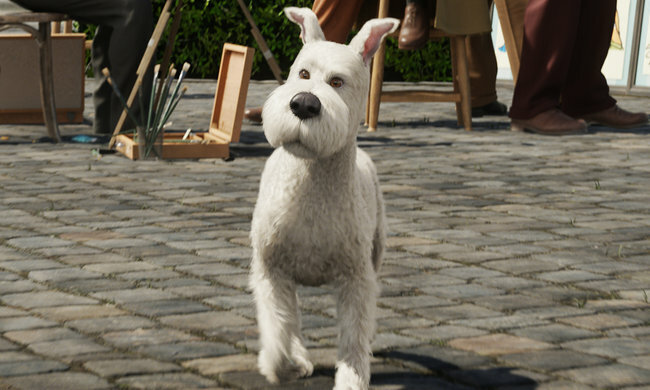 Everything else is fine, but they gave all of the characters real eyes instead of the pinpoint-style eyes that I think of when I see Tintin. 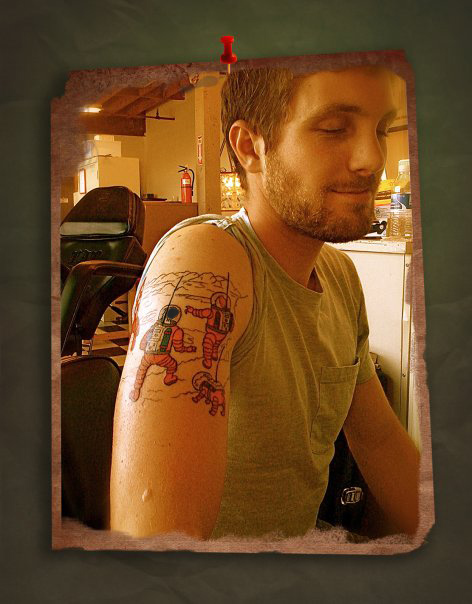 Awesome tattoo! I had just bought a couple more Tintin comic books to add to my collection. I’m looking forward to the movie!